A menu of Bootleggery and Sampledelia, because everything is just ingredients for the Remix Culture. 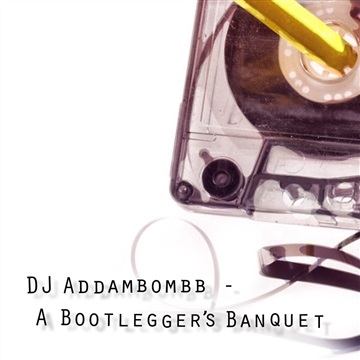 The Bootlegger's Banquet starts off with an appetizing groove smothered in a whip of ragtime and drizzled with slivered hip hop. A looptastic amuse bouche is followed by a classic beat salad with a bitter twist. The soup will be a spicy, almost dangerous melange of trance, triplets and rainbows, paired with a deep glass of cool introspection. The entree selections are bold and complex reductions of broken wing and shocked monkey, finishing with a witchy slice of tragedy and a new romantic plate of cheese topped with cold shoulder. Gratuities for the chef are deeply appreciated but have not been added to your check. There are no substitutions, but requests may be considered for future menus. Enjoy your journey!